I am a Licensed Massage Therapist and Certified Neuromuscular Therapist. I received my education from the Body Dynamics School of Massage Therapy in New Mexico and also The Neuromuscular Therapy Center of New Mexico. I specialize in Neuromuscular Therapy. I have had fantastic results with many pathologies such as Sciatica, Carpel Tunnel, TMJ Dysfunction, Frozen Shoulder and Plantar Fascitis. I am also experienced in Swedish Massage, Sports Massage, Hot Stone, Trigger Point, Cranio-sacral Therapy, Reflexology and Chair massage. I can have a light, medium, or firm touch and still manage to give a deep massage. I consider each of my clients to be a VIP and it makes me feel good to be able to give them the best massage I can. Prior to becoming a Massage Therapist, I worked for 20 years as an Emergency Medical Technician. I have also worked as an Emergency Dispatcher and a Volunteer Firefighter. I knew that when I left my career in emergency services I still wanted to help people. I felt the need to do something less stressful and found that with massage I am able to help others de-stress without causing stress to myself. I enjoy helping people maintain good health. Being apart of Dr. Dot’s team is such an honor as it will give me the chance to broaden my horizons on the types of music out there. I was a country girl with limited music exposure and these last few years of been a wonderful eye opener. This entry was posted in Dr. 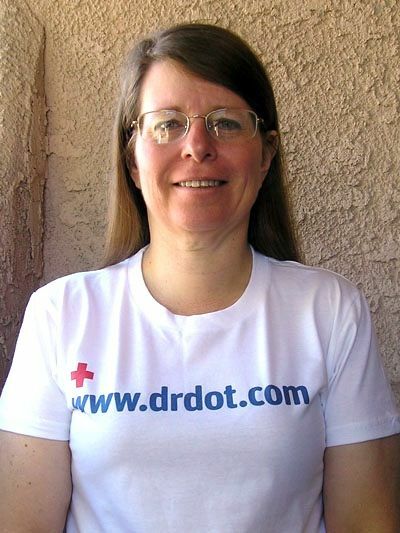 Dot and tagged 24, and, backstage, blog, ca, california, chair, craniosacral, drdot, home, hot, hotel, hour, las, massage, nancy, point, reflexology, service, sports, stone, swedish, therapy, trigger, vegas, venue by Dr. Dot. Bookmark the permalink.